Are you tired of the same old look that greets you whenever you open your Android smartphone? You can actually make it look like a new device by installing an app called a launcher. There are many launchers available at the Google Play Store and one of them just reached a milestone version 5.0. 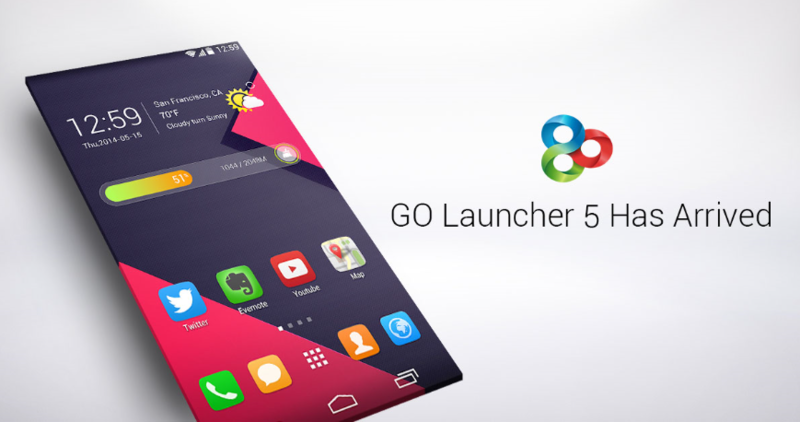 Go Launcher Ex 5.0 is now available at the Play Store which has been redesigned from the top to the bottom to allow users to easily customize their smartphones the way they want to. The best part of this is that for a limited time period (May 30 to June 1) Go Launcher Prime which normally costs $5.99 is free. The Prime version offers more added features such as no ads, more than 6 transition effects, security lock and slide lock, and wallpaper filters just to name a few. This is on top of the free features of the app which we have listed below. To avail of this offer simply download Go Launcher Ex 5.0 over at the Google Play Store. Once the app is installed in your device open the menu and go to Preferences > About GO Launcher EX > Enter Activation code appsales OR appszoom. It’s as simple as that. If you are looking for a way to make your device look like new then getting this launcher is one good way of doing it. You have to hurry though as the free Prime feature is only available until June 1.